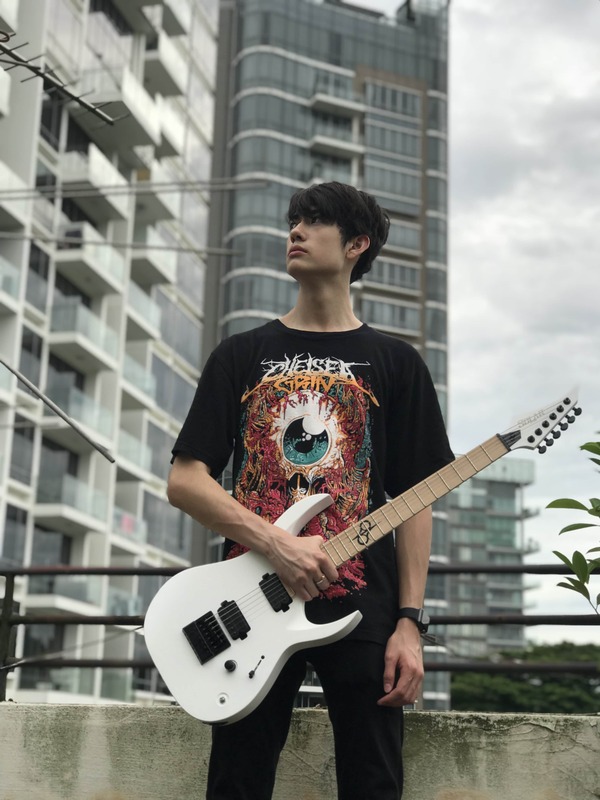 Aaron Devoy, a 16-year old Singapore-based metal guitarist, started playing guitar in early 2015 at the age of 13, accumulating over 3 years of playing experience as of 2018. His early influences included bands like Megadeth, Judas Priest, Pantera, Motley Crue and The Darkness. Over time, his influences and musical tastes expanded to include the likes of Periphery, Haunted Shores, Lamb of God, Cannibal Corpse, Mastodon, Northlane, and Sylosis, amongst many others of which he incorporates nuances in his compositions and playing style. He has a Progressive/Thrash metal solo project named Alfakyu (previously called Alphacue), in which he aims to form a dynamic, unique take on heavy music. He is in the process of brainstorming and writing songs for a full-length feature album that will be released in 2019. He has formed a stoner-rock side project named Paracosm which he will pursue after finishing his first album.